Database server needs are easily handled, with the power needed to run even the largest mainstream databases. 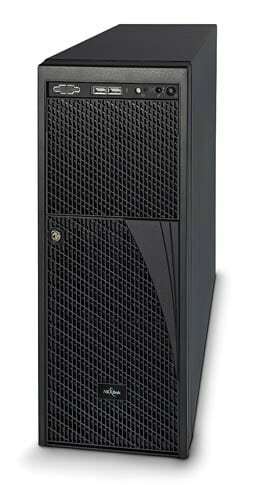 Our Xeon E5 Series servers will fulfill your enterprise needs whether they are small or large. 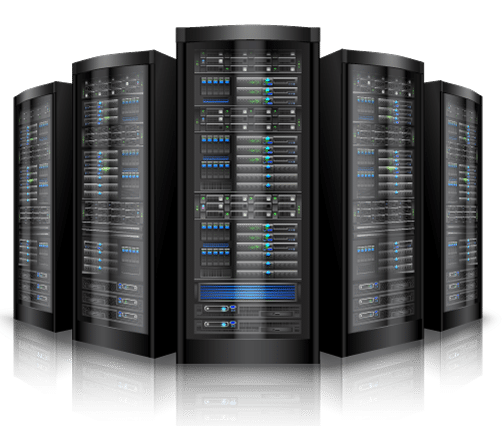 Our servers are well suited to handle virtualization through Microsoft Hyper-V.
With core count ranging up to 44 cores and memory count as high as 1.5 TB there is little our server series cannot handle. The Intel Xeon Processor can optimize the core counts or maximize the core speed depending on the performance needs. Whether your needs revolve around speed or capacity, our servers have you covered. Our drive choices range from industry standard enterprise SAS Storage or cutting edge hybrid SAS drives that leverage Solid State Drive (SSD) Technology and HDD Capacity. The flexibility of this platform allows a single server to have the resources to handle multiple needs of a small business without needing multiple servers. This server is ideally suited for: Virtualization, Enterprise Resource Planning, Customer Relationship Management or other line of business application package. Do extraordinary things with our desktops. Expand your computing options with superior, energy-efficient performance that lets you create, share and experience more than ever before. Designed for business users who need to get more work our of their desktop pc. Our desktops are designed to provide you with a range of performance options from the entry level small business to complicated high end computing. We have the perfect configuration to suit your needs. Our desktops are fully configurable offering 7th gen Intel Core Processors and Windows 10 Pro. Purpose built for Small-Medium Business clients who need a consistent, manageable and customizable system. 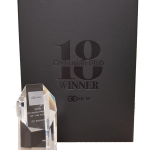 Featuring a Corporate Stable Motherboard (CSM) which provides a lengthy 24 month product cycle allowing IT staff and business buyers peace of mind. Enhanced memory capacity enables this system to perform more work and maintain its functionality throughout the product lifecycle. Delivering solid performance from the 7th generation Intel® Core™ processors, we have the right solution for the most demanding workplace tasks. Are These Systems For You? Our network design solutions are focused on mainstream small and medium business computing needs. We can help you find the best fit for your needs.